The concept draws from the owner’s passion as a commercial photographer and the process of capturing an experience with a still photo. The house is two simple platonic forms, one resting on the other, pulled apart to create an aperture to the lake. The view is revealed once you enter the house, leaving the city behind and immersing yourself in lake living. 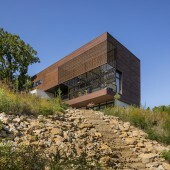 The main public space is a wood clad, two-story volume filled with light and the lake view. This is contrasted by a crisp, white stucco volume housing the private functions. Large boulders unearthed during construction connect the house to the land, otherwise leaving the lot natural. The house becomes a backdrop as you descend toward the lake, leaving the city completely behind. WE MAKE LIFE BETTER THROUGH DESIGN - KEM STUDIO is a design studio that fuses architecture + industrial design. This fusion is a natural extension of our underlying design philosophy - BETTER DESIGN BETTER LIVING™ - making design more approachable, livable & necessary in our lives. Modern Lodge Residential House by Kem Studio is a Nominee in Architecture, Building and Structure Design Category. · Click here to register today inorder to be able to view the profile and other works by KEM STUDIO when results are announced. Modern Lodge Residential House by Kem Studio is Winner in Architecture, Building and Structure Design Category, 2017 - 2018. 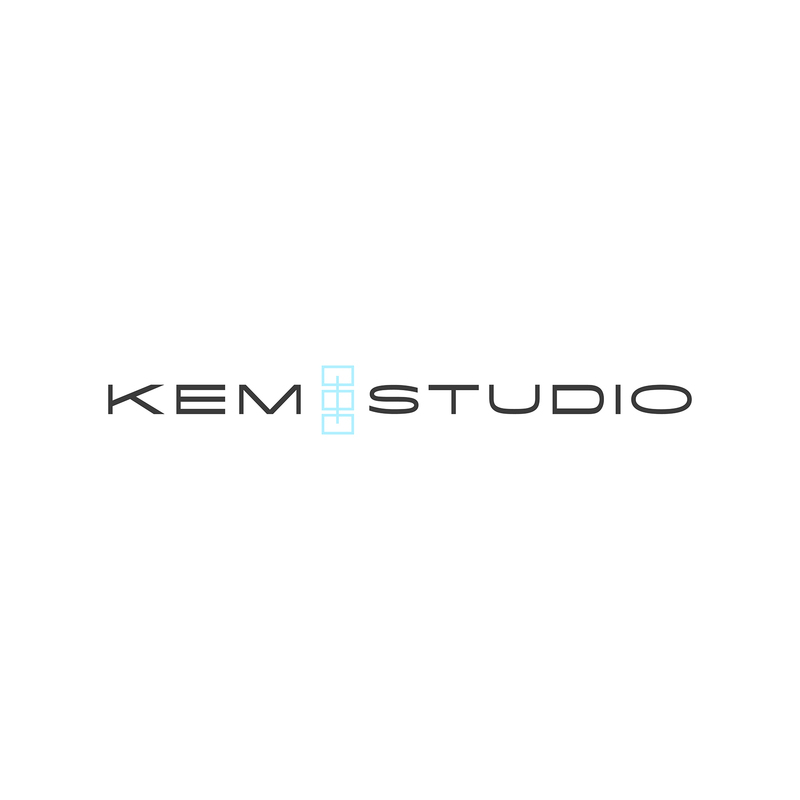 · Press Members: Login or Register to request an exclusive interview with KEM STUDIO. · Click here to register inorder to view the profile and other works by KEM STUDIO. Did you like Kem Studio's Architecture Design? 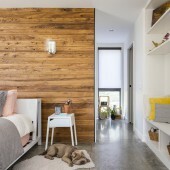 Did you like Modern Lodge Residential House? Help us create a global awareness for good architecture design worldwide. Show your support for Kem Studio, the creator of great architecture design by gifting them a nomination ticket so that we could promote more of their great architecture designs.